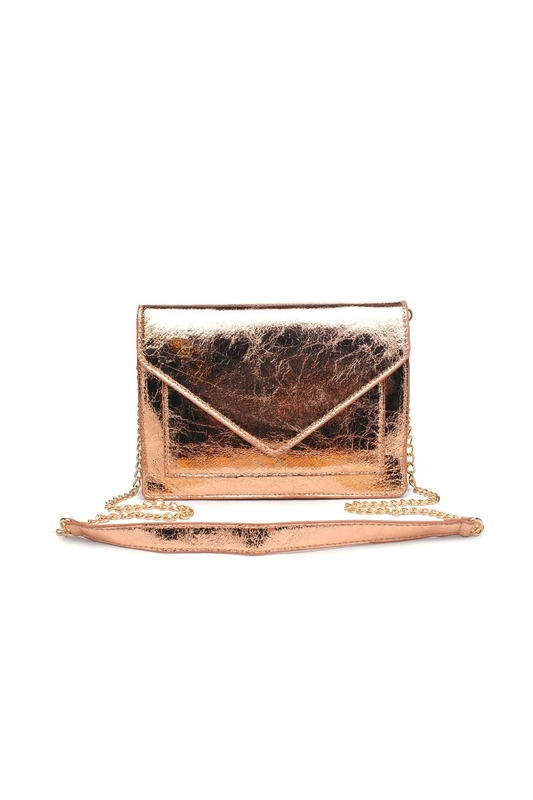 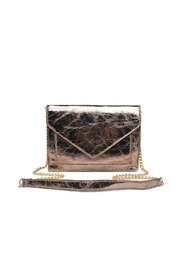 Textured metallic body bag with snap closure, one outer pocket and envelope silhouette. 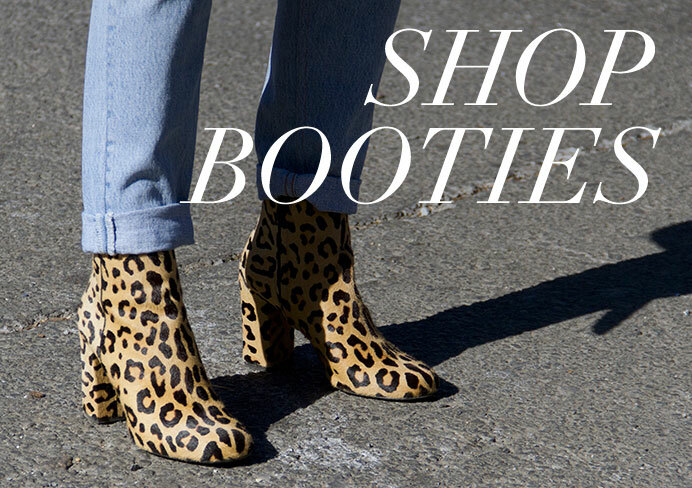 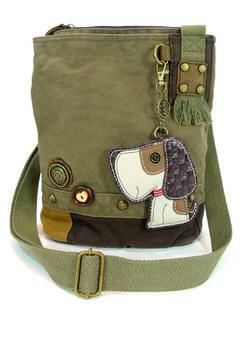 The inside is fabric-lined and has one slip pocket and one zip pocket. 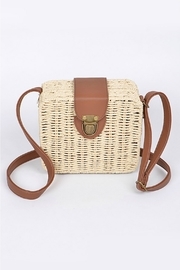 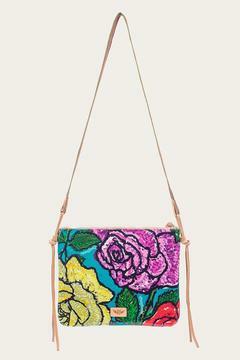 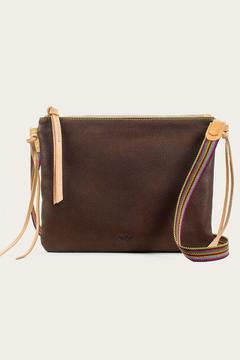 Measurements: Shoulder Strap Drop: 21"; Dimensions: 9" x 1.5" x 6.5"